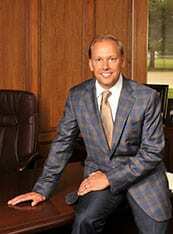 Ryan Hamilton is Vice President of Hamilton Properties Corporation. After receiving a degree in Business Management from Drury University, Ryan joined his father at Hamilton Properties Corporation (HPC), Springfield, Missouri. Formed in 1968, HPC was created to develop, construct and manage over 2,500 housing units for the following state and federal agencies of government: USDA/Rural Development in Missouri, Kansas, Oklahoma, Texas, and Nebraska; Missouri Housing Development Commission, Kansas Housing Resources Corporation, Oklahoma Housing Finance Agency, Texas Department of Housing and Community Affairs and Nebraska Investment Finance Agency. During his tenure as Vice President of Hamilton Properties Corporation, Ryan has been instrumental in rejuvenating and rebuilding companies he manages and partners with. He has taken aging and outdated portfolios and updated them with properties competitive in their respected markets. Additionally, Ryan has honed his skills and experience as a developer of new properties, specifically for marginalized and aging populations throughout the Midwest. As Presiding Manager of Four Corners Development, LLC, Ryan has focused on the development and financing of real estate projects that maximize federal and state tax credits. He has extensive knowledge and experience with significant real estate development projects. Ryan’s expertise includes leasing, financing, zoning, subdivision, land-use regulation, taxation, economic development, governmental regulation and permitting for a variety of developments. With his experience, extensive knowledge and long history in the development industry, Ryan has built business relationships to include developers, general contractors, investors, lenders and public entities in a variety of real estate and asset-based transactions. Ryan continues to pursue excellence and relevancy in his field, and has worked diligently to earn higher property management certifications such as S.T.A.R. (Spectrum Training Award Recipient) and Certified Property Management (CPM).